Microsoft has filed suit against the Hon Hai Group in a move that may be related to the U.S.-China trade war and the company’s battles with Google and Huawei. What is at the core of the dispute, and why has Hon Hai Chairman Terry Gou reacted so angrily? On March 8, Microsoft filed suit against Hon Hai Precision Industry (known internationally as Foxconn Technology Group) in a Northern California District Court for violating a “confidential patent license agreement” the two companies signed in 2013. 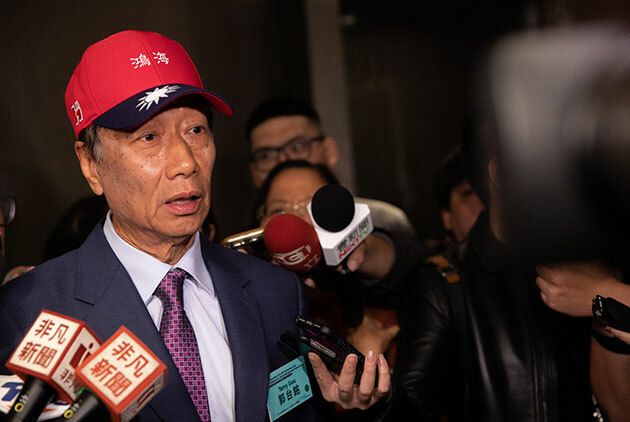 Hon Hai Chairman Terry Gou responded angrily to the move at a press conference on March 12 in Taipei, saying the move typified Microsoft’s old “domineering mindset” was an attempt by the software giant to exert pressure on the mobile phone supply chain. Gou argued that the battle should actually be between two American companies, Microsoft and Google, because Android was the one that had infringed on Microsoft patents. “You, Microsoft, should sue Google, but you’re afraid to charge it royalties. Instead, you collect fees from brand vendors and contractors. That’s Microsoft’s domineering mindset that dates back to when it monopolized the PC era,” Gou fumed. 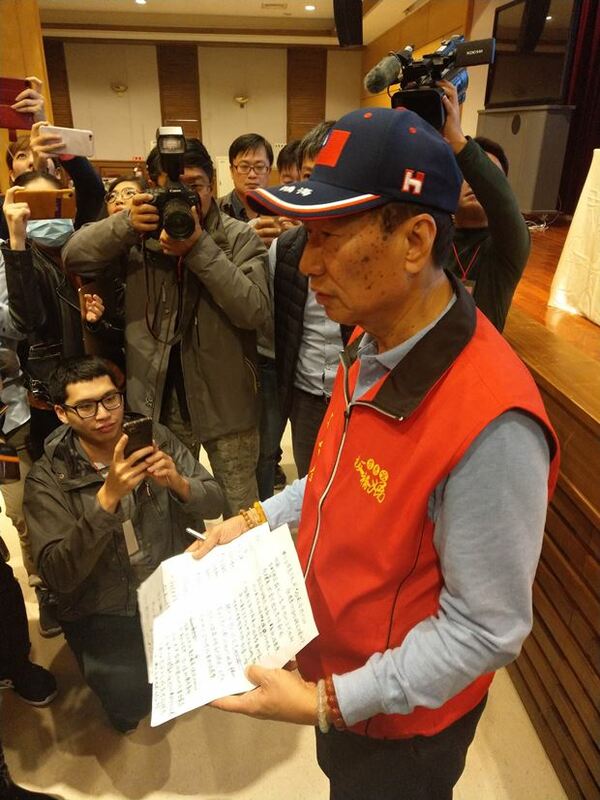 Wearing a baseball cap with a Republic of China (Taiwan) flag and a red vest from the Ci-Hui Temple in Banqiao, Gou had trouble shaking off his exasperation during the rambling two-hour press conference in which he touched on everything from his late wife to the U.S.-China trade war and even displayed his daughter’s homework. 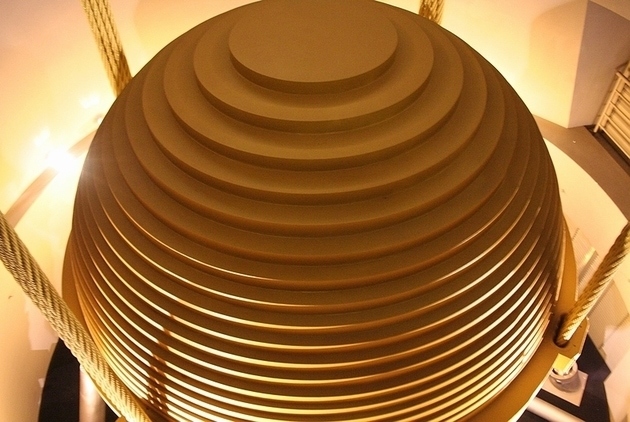 “[Microsoft] never mentions a patent infringement [in the lawsuit]. It simply says that [Hon Hai] did not carry out its obligations under the contract. It’s a basic commercial contract that should be enforced, just like a contract to rent a car or an apartment,” the insider says. The lawsuit alleges that Microsoft and Hon Hai agreed to a “Confidential Patent License Agreement” on April 1, 2013 under which Microsoft granted a worldwide patent portfolio license to Hon Hai for certain “covered products” it makes or sells. In exchange for that right, Hon Hai agreed to submit accurate royalty reports providing detailed information on its sales of those covered products on a per-unit basis to figure royalty payments. In the event of a dispute, Hon Hai would be required to submit to an audit by an independent public accounting firm. 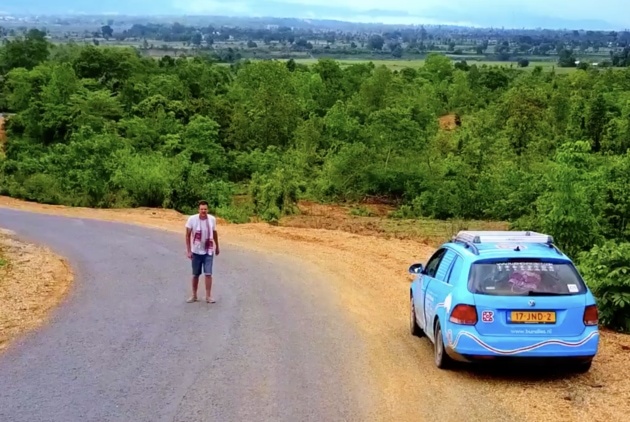 According to Microsoft’s complaint, the royalty reports provided by Hon Hai in 2014 were not accurate, and it has failed to provide any reports on Jan. 30 and July 30 each year as stipulated in the contract since 2015. The industry source familiar with the situation says Hon Hai only made payments in the first year of the agreement. The suit alleges that despite numerous written and telephone requests for records and reports needed to perform an audit and dates on which the accounting firm could conduct on-site fieldwork at Hon Hai’s offices, Hon Hai did not produce a single document or give a date for on-site work. In essence, the suit says, Hon Hai has failed to cooperate in the two-year period since Microsoft invoked its audit rights. Dispute 2: Why Make a Move amid the U.S.-China Trade War? He therefore concluded that Microsoft’s complaint was intended to “strike at the mountain to frighten the tiger,” meaning to deliberately issue an indirect warning to a potential rival. Gou believes the move was actually aimed at pushing leading Chinese smartphone brand Huawei for royalties on Android patents. Microsoft does not want to anger Chinese customers and netizens by going after Huawei directly, so it “has turned its attention to small and weak Taiwan and pressured Taiwanese contract manufacturers to pay royalties on behalf of their customers,” Gou wrote. InfoShare Tech Law Office senior partner Ben C.Y. Liu believes there may be something to Gou’s argument. Microsoft could have taken action much earlier, he contends, but it did not issue an “escalation notice,” or final ultimatum, to Hon Hai until March 2018. “The situation had already turned hostile by March 2018. Why did [Microsoft] choose this particular time to strike?” Liu asked. His theory? With the U.S.-China trade war intensifying, and Hon Hai, which has close ties with China, seeing its image in America taking a beating over its backpedaling on its commitment to build a US$10 billion manufacturing facility in Wisconsin, Microsoft saw an opening. The industry source familiar with the situation believes the truth is much simpler than that. “The timing was pretty straightforward. The case has already dragged on for five years. Under the American legal system, if Microsoft delayed action any longer, it might have been seen as acquiescing to Hon Hai’s breach of contract,” the source says. Since learning of the Microsoft suit, Gou has strenuously insisted that Microsoft is suing the wrong party. He argued at the press conference on March 12 that because Microsoft’s complaint is with Android phones, the real defendant should be Hon Hai’s Hong Kong-listed unit FIH Mobile Ltd.
FIH Mobile assembles Android phones for Xiaomi Corp., Huawei, and other vendors, while Hon Hai only makes iOS devices for Apple. In other words, Android and Hon Hai are not directly connected, Gou argued. But the insider familiar with the situation says the scope of the licensing agreement covered more than just Android, explaining that all electronic devices today, except for Apple’s iOS devices, use some combination of Microsoft, Android or Chrome patents. The Hon Hai Group has advanced another argument in its defense. Dispute 3: Can a Contract Manufacturer Be Responsible for Royalties? 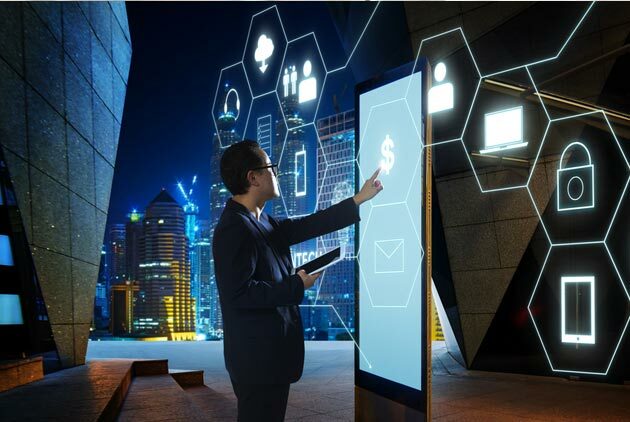 FIH Mobile’s Chih argued that issues related to intellectual property rights and design rights have traditionally been the responsibility of major brands and beyond the purview of contract manufacturers. Contractors, he said, provide engineering and manufacturing services to big vendors under agreements that clearly define intellectual property rights and design rights. “If there are any intellectual property rights issues, they are the responsibility of the vendors, according to the agreements,” Chih contended at the press conference. He also says FIH’s clients requested that the company not pay royalties to Microsoft. “For the Android phones we have made the past few years, we have an 84 percent share of the top five global brands. Our [brand] clients are all well-known,” Chih stressed. Microsoft first raised this royalty issue in 2011, Chih said, and it has continued to negotiate with mobile phone vendors for the past eight years. FIH Mobile immediately contacted its clients when Microsoft first approached it. 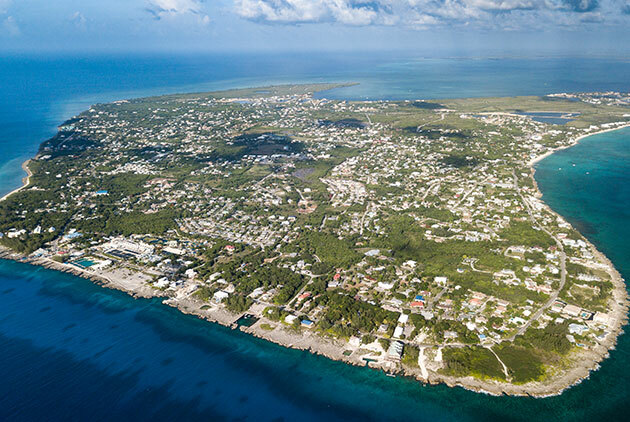 “With regards to this matter, all of our clients formally requested that we not represent them in negotiations and make payments or reveal information on products to Microsoft,” Chih said, even reading to assembled media a statement from one of FIH Mobile’s clients to that effect. “This has been going on since 2011, so when we received [notification of the suit] yesterday, it came as a huge surprise,” Chih said. The contracts also contain an “exclusion clause” that exempt the contractor from paying royalties on a product – known as an “unlicensed device” – if the brand customer and Microsoft have a separate agreement under which royalties are already being paid, the source says. In most cases, however, the contractors pay the royalties and then figure out how to deal with them; they’re not always able to pass the costs off to their clients. The industry insider familiar with the situation says companies like Toshiba and Samsung have all signed similar royalty agreements and regularly abide by them. Hon Hai is the only company not making payments, and “if Microsoft didn’t take any action [against Hon Hai,] how could it be accountable to other vendors [that make their payments],” the source argues. Technology lawyers who have seen the lawsuit almost unanimously argued that the critical part of the complaint can be found in the final paragraph on page 8 of the nine-page document. In that paragraph, Microsoft demands a judgment “ordering Court-supervised discovery of Hon Hai’s books and records” because of Hon Hai’s refusal to allow audits and comply with the agreement. Hsu Wei-fu, former general counsel of IC design house MediaTek Inc. who now lives in Silicon Valley, says the “discovery” will be conducted under a judge’s supervision and involve sending an impartial third party, generally an accountant, to Hon Hai’s offices to look for evidence of Hon Hai’s breach of the contract. The evidence could include accounting records and records of all shipments. The scope of the process would be wide-ranging, in essence allowing Hon Hai to be searched inside-out. “Most lawsuits don’t go this far,” Hsu says. The Microsoft action is not the first suit faced by Hon Hai that has been filed by a major American company. A previous came in May 2017. As Qualcomm and Apple were engaged in a fierce patent fight, Qualcomm suddenly sued four iPhone contract manufacturers – Hon Hai, Wistron, Pegatron and Compal – for violating patent licensing agreements, and it demanded compensation for damages. At the time, Qualcomm’s main demand was to have Hon Hai hand over royalties Apple was supposed to pay to Hon Hai for the use of Qualcomm technologies. In the current case, Microsoft’s main appeal is completely different. It has latched on to the often ignored “audit clause” and focused on Hon Hai’s failure to submit royalty reports and refusal to allow audits in breaching the contract. If the American judge finds in favor of Microsoft and agrees to a strict “court-supervised discovery,” those words could haunt Hon Hai in the future, Liu says. That’s because if the company produces false documents, hides evidence or drags its feet during the discovery process, those actions would constitute “obstruction of justice,” a very serious charge in the United States. Former MediaTek legal counsel Hsu sees another factor at play. “It’s tantamount to forcing Hon Hai to completely bare itself in front of Microsoft. That’s actually the biggest key to this case,” he contends. With the case having reached this point, it will be hard for Hon Hai to avoid a court order to pay the royalties it owes plus interest. So what are the odds that Hon Hai actually turns things around and prevails in the end? “Based on what Hon Hai is saying right now, it’s hard to see any strong or powerful argument that could rebut Microsoft’s contentions,” Liu says. He believes Hon Hai committed a fatal mistake by not turning over the royalty records clearly required by the licensing agreement after 2014. If Hon Hai had turned those records over, even if Microsoft did not agree with the shipment volumes and royalty amounts listed, the enormous amount of time and money it would have had to spend on the dispute may have precluded it from taking action. “But not turning over the records has given Microsoft an opening it can take advantage of,” Liu says. But Hsu, who has considerable international high-tech litigation experience, says that based on the overall evidence, it will be “extremely challenging” for Hon Hai to extricate itself from this lawsuit scot-free, regardless of Gou’s declarations. Next What Happens to Hon Hai if Terry Gou Runs for President? 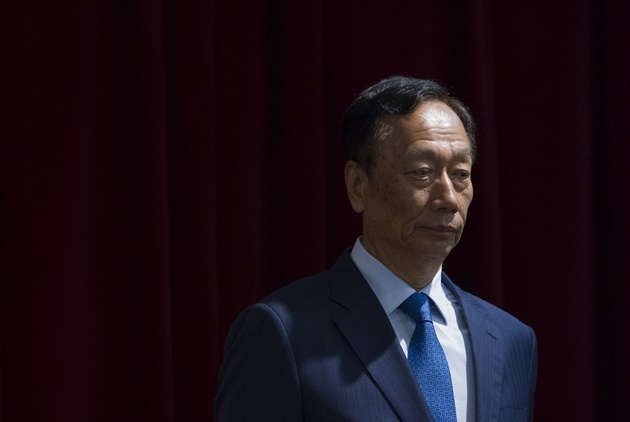 What Happens to Hon Hai if Terry Gou Runs for President?